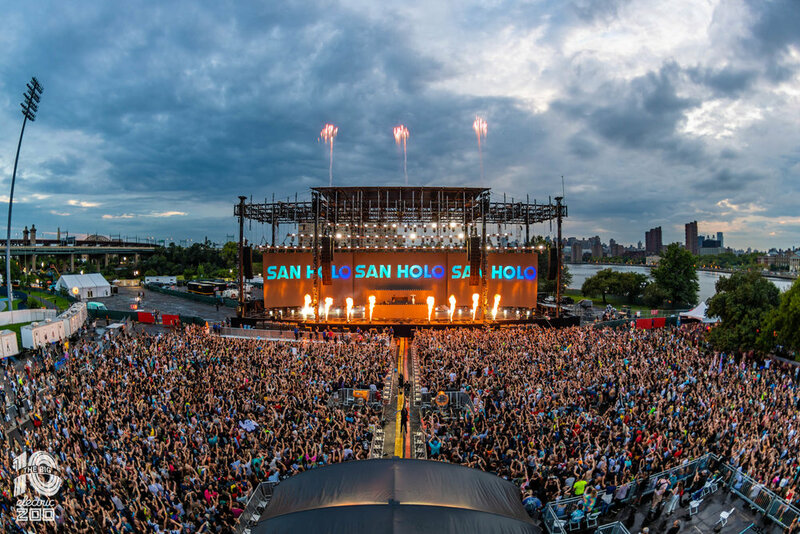 New York City's premier electronic music festival ELECTRIC ZOO THE BIG 10 celebrated its tenth turn at Randall's Island this past Labor Day Weekend (August 31-September 2) with great fanfare. The three-day MADE EVENT production-which sold out on Saturday, September 1 and Sunday, September 2-welcomed more than than 100,000 fans over the weekend (*see photos below). Attendees were treated to star-studded sets from over 120 acts throughout the weekend set against the backdrop of New York City's east side skyline. 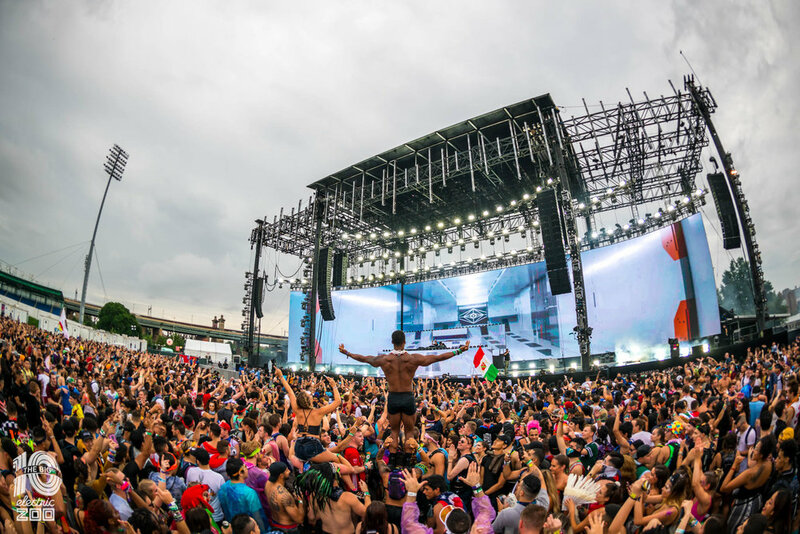 A key new feature to ELECTRIC ZOO was its technically enhanced main stage production with an over 160' wide by 30' tall curved screen which boosted viewing sightlines from left to right across the main stage field of play. 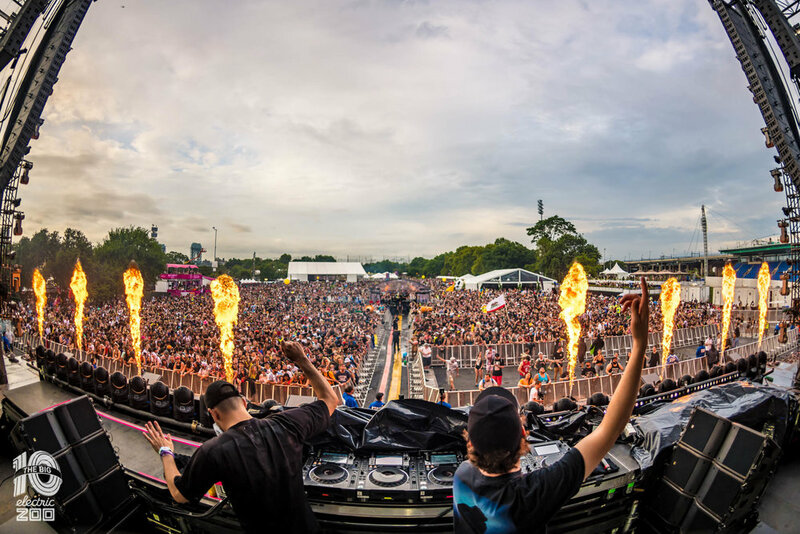 Headliners such as Martin Garrix and Porter Robinson's Virtual Self were able to bring their major festival shows for the first time to New York City. 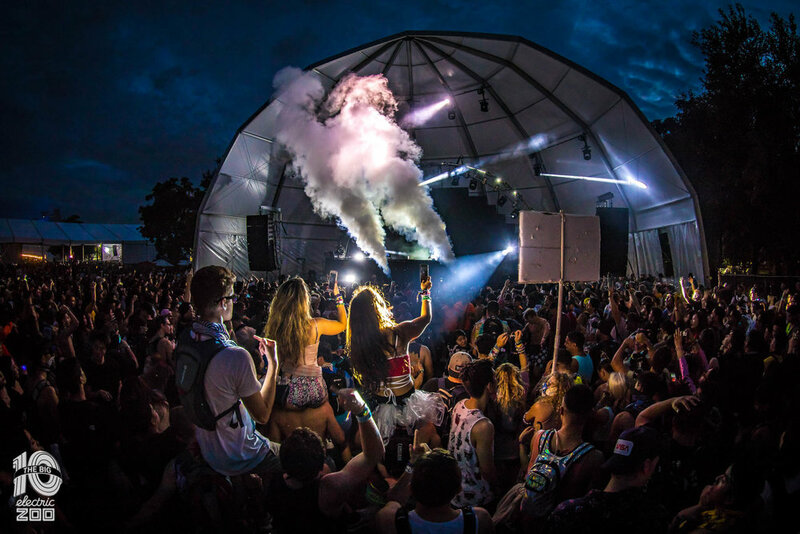 From titanic headliners to underground favorites and scene champions encompassing a wide range of styles from deep house and techno to trance, trap and future bass, ELECTRIC ZOO: THE BIG 10 did not disappoint. Kicking off the festival on Friday, August 31, with their first trip to Electric Zoo was Billboard Dance 100 #4 artist Marshmello and Virtual Self. Friday's Sunday School Grove stage featured a partnership with Anna Lunoe's HYPERHOUSE and AC Slater's Night Bass. Saturday, September 1's mainstage was helmed by juggernaut Kaskade, who appeared at the first festival in 2009 and DJ Mag Top 100 DJ's #1 artist Martin Garrix. Zeds Dead's Deadbeats took over the Hilltop Arena for the day with sets from TroyBoi, Mija and more. DESTRUCTO and friends brought the beats to the ALL MY FRIENDS stage at Sunday School Grove rounding out with an impressive B2B set with Wax Motif, Shiba San, Justin Martin, Mija and GG Magree. Another stage highlight was Wu-Tang Clan luminary Raekwon joining Stooki Sound to perform "Cream," "Incarcerated Scarfaces" and "Ice Cream." L.A.'s essential party series Brownies & Lemonade took over the Hilltop Area Sunday, September 2 with bass-heavy sets from Gryffin, Ekali, Cray and more. The Riverside Stage was Anjunabeats highlighting a special triple b2b set from label artists Ilan Bluestone & Jason Ross with Andrew Bayer. Germany's HYTE presented the best acts in techno over at the Sunday School Grove including German producer Gregor Tresher's first time at EZoo, a classic set from Pete Tong and a rare B2B set from HYTE boss Chris Liebing & Dubfire. "Watching Electric Zoo come back strong to become, once again, a staple of the New York City electronic music scene, reminds me of Coachella when it turned the corner in 2009," says Randy Phillips, CEO of LiveStyle, parent company of MADE Events, the producer of EZoo. "Wading through the crowd on Randall's Island, the vibe was as off-the-chart as the music our artists delivered." 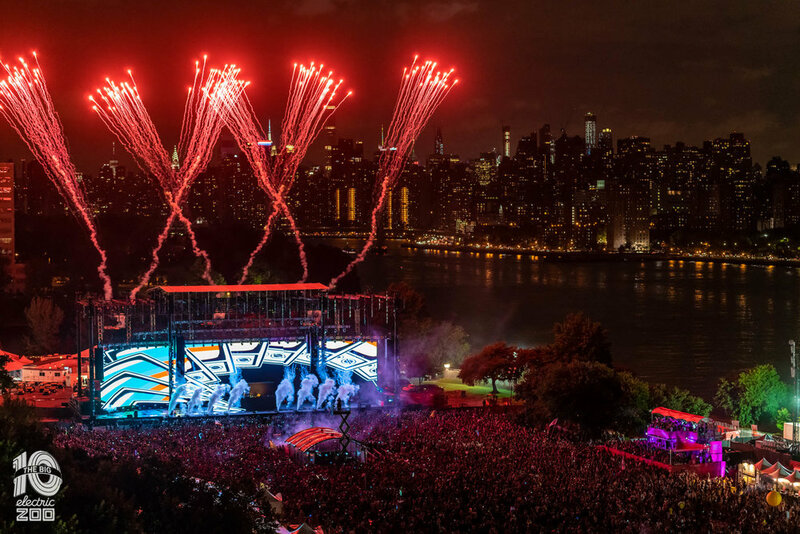 Look for Electric Zoo to return to New York City Labor Day Weekend in 2019.